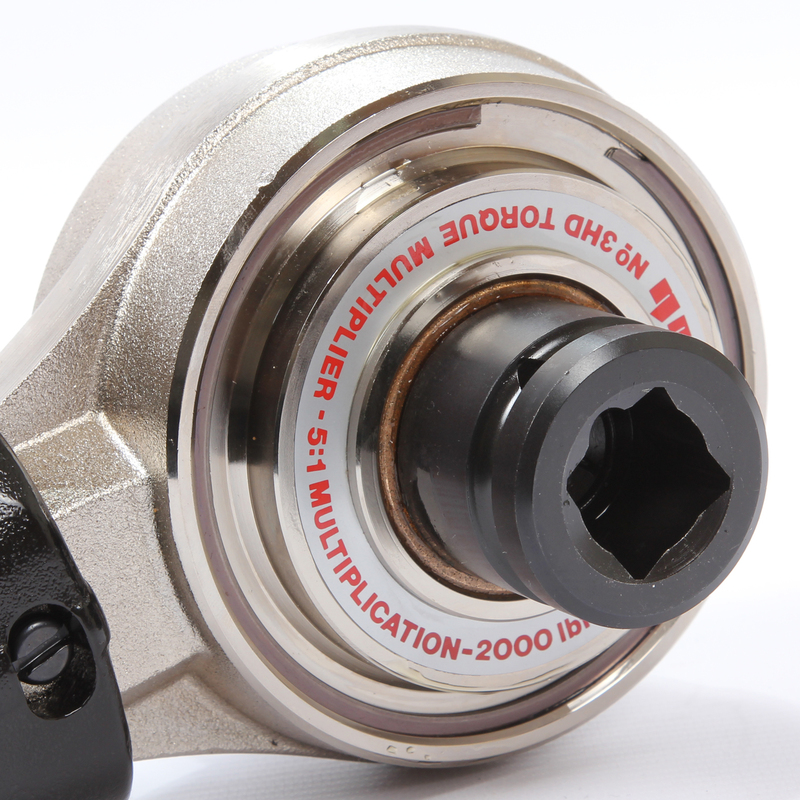 The Norbar HandTorque Compact Series Torque Multiplier is the most comprehensive range of torque multiplier available. Specially designed to provide high torques in applications which are limited by space or operator strength, input to this HandTorque Multiplier is via a ratchet torque wrench set to one fifth of the required output torque. The HandTorque HT3 Series has a 5:1 torque multiplication ratio with a guaranteed +-4% accuracy. Made of sturdy construction, each model is supplied with a reaction arm as a well as a reaction foot in a heavy duty carry case making this versatile handtorque multiplier ideal for inclusion in your heavy vehicle tool kit. Note, the 1300 Nm Highway Kit also comes with a spare 3/4″ square drive.